But hardly anyone talks about HOW to make Facebook Paid Advertising work for YOU. As in, ensure you get a real return on your investment. Not a few dollars here and there, and not a bunch of new leads. If you have a little money, ANYONE can get a bunch of new leads, and it’s easy to get them for under $1. But the point isn’t to generate new leads, is it… the point is to turn these leads into customers. Bottom line, you need to turn your Facebook paid advertising into profit. 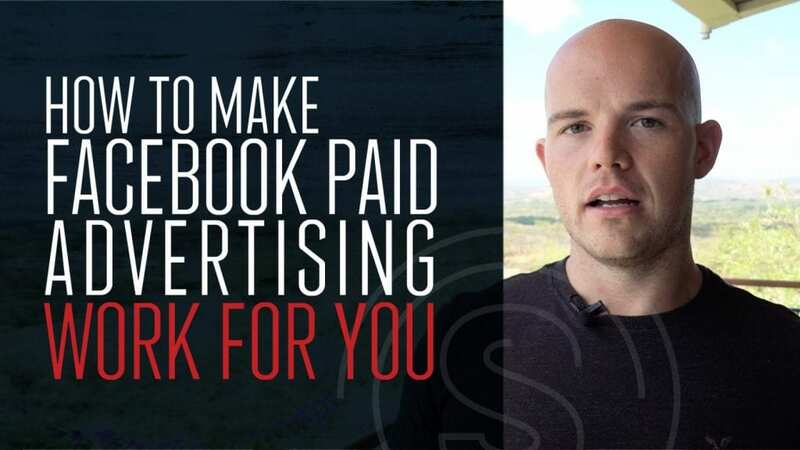 So if you find yourself doing “okay” with your Facebook paid advertising, and you’re generating a lot of leads but have a feeling you’re leaving a lot on the table… read on or watch the video below. If you’re using Facebook Paid Advertising and not starting with your finances, you are hoping for the best — and “hope” marketing is not effective marketing. You may as well take your ad budget and arrange a trip to Vegas, because you have a better chance of hitting the jackpot at the roulette table (and you’ll have a lot more fun). You want to make Facebook Paid Advertising work for you? You NEED to start with your finances before you do anything else! Do this and it’s easy to build success on the back of your online advertising. In fact, it’s crazy simple to build success. I am not good at math. In fact, I’m terrible at it and always have been. Back in High School, I outsourced my math homework to a kid in England, so no matter how poorly I did on my exams, I always passed the year. Now, the thin line of cheating to one side, my point is that you do not have to be good at math to make Facebook paid advertising work for you. But you DO have to start with your math before you do anything else. Say you have a $1,000 product and it costs you $10 per lead through Facebook paid advertising. To generate 100 leads, you need to spend $1,000. So if you want to break even on your ad spend, you need to create 1 sale per 100 leads. Of course, it isn’t as simple as making a return on your ad spend. Which is another problem many entrepreneurs have, because they listen to “experts” who say you should aim for $2 on every $1 spent. And this doesn’t even take into account the money you need to grow and scale your business. So if you’re using Facebook Paid Advertising, you need to aim for at least a 6X ROI (ideally 10X). Anything less than 6X, you’ll remain in the ‘six-figure hamster wheel’ forever. Meaning if we use our example from above, you need to create at least 5-8 sales per 100 leads to make it worth your while. The problem with this is, a typical conversion rate is only 2-3%. This is the toxic truth of online marketing, and it’s killing so many businesses. If you made nothing from your Facebook paid advertising, you would say the campaign’s a failure and scrap it. But because you make $1,000 — 2,000 “profit”, you think you’re doing okay. So you keep doing it, even though that $1,000 — 2,000 “profit” loses you money in the long term. Simple… you NEED an unfair advantage. 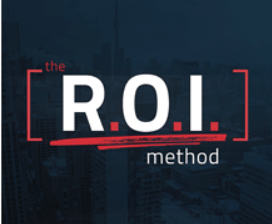 or… you use my ROI Method! The point is, if you want to make Facebook Paid Advertising work for you, you need to take advantage of your unfair advantage, and to do that you need to have / use at least one of these four things. Until you do, you will NEVER get a real return on your paid online advertising (unless you get lucky or hit the jackpot), and you’ll remain on the ‘six-figure hamster wheel’ far too long. You’ll trick yourself into thinking your Facebook paid advertising is working, whereas in reality it isn’t. But you can make it work for you, and it all starts with YOU doing a little bit of simple Math. How much does it cost you to generate leads? What will it take for you to generate at least a 6% ROI? This is how to make Facebook Paid Advertising work for you. It isn’t hard, but that’s not to say you don’t need to put in the work. I see too many people skipping the most important step of all, but after reading this (and watching the video) I hope you’re not one of them. So get to it, and if you want to know what else it takes to become a 7-figure entrepreneur, you may like to grab this 28-page guide I created for you. It dives into the six-step process successful entrepreneurs take to scale from 6-7 figures.